In the run-up to Friday’s release of Call of Duty: Black Ops 4, Activision has been releasing free downloadable comics introducing the game’s Specialists, and they’re surprisingly good. There are currently five issues available to read, either directly on the Call of Duty site or to download for your convenience. Five more are on the way. I highly recommend reading them. Each issue features amazing talent, including some beautiful cover art by artists Adam Hughes and Eric Wilkerson. Beyond the stunning cover work lies solid storytelling that gives depth to Black Ops’ Specialists. Before I read the comics, they were just blank-slate characters with a unique ability. Now, when I choose to play different Specialists, the characters will also have a voice beyond those cheesy one-liners you’d hear post-match. Black Ops 3 did have short bios and audio transmissions for its Specialists that gave a slight glimpse of each character’s past, but there’s something much more powerful about seeing their stories fleshed out in the comics. 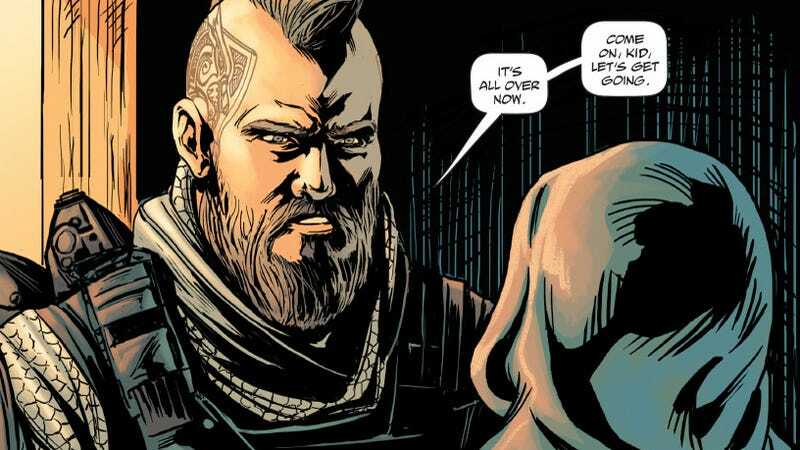 A one-shot issue doesn’t give the artist and writer teams much time to tell you about a character, but these Black Ops 4 comics mostly provide a good piece of the character’s backstory to make you care or at least understand them. Krystof “Firebreak” Hejek is a Specialist character that I didn’t play much in Black Ops 3 or during the duration of the Black Ops 4 betas. Firebreak was always just some guy with a mask and a flamethrower, but now I know he’s a really screwed up dude with a dark past. For me personally, the issues focusing around David “Prophet” Wilkes and Donnie “Ruin” Walsh’s packed more of an emotional punch than those of Black Ops 4’s recently introduced Crash or Torque, but that doesn’t make the new guys’ issues bad. Torque seems like a fun guy to have on your side, but I do wish I had gotten to see a different piece of Crash’s life. I have a better sense of who Crash is beyond just being the medic Specialist for Black Ops 4, but maybe there could’ve been a more interesting or revealing way for his story to be told. There were lots of pages spent watching him vaguely running around and dodging some guys with bad intentions, but I never quite felt the urgency. I usually prefer to play as the female characters Erin “Battery” Baker or He “Seraph” Zhen-Zhen, so I’m anxious for their comics to be released in the coming days. I’ve already created this ideal picture of Battery being this badass LGBT character, and I really hope her comic doesn’t let me down. The cover for her upcoming comic depicts a gravesite scene, which most likely discusses her family’s history of military sacrifice, but I hope somewhere in there is a hint of LGBT status. Black Ops 4 is breaking away from the traditional Call of Duty package by ditching the story campaign and amping up the online modes, and while this comic book series might not appeal to all the angry campaign fans, these standalone issues make me care more about the characters we play. In fact, I feel like these insights to the Specialists’ lives have given me more story satisfaction than Black Ops 3’s entire campaign, where everything was just a silly simulation and nothing even mattered.